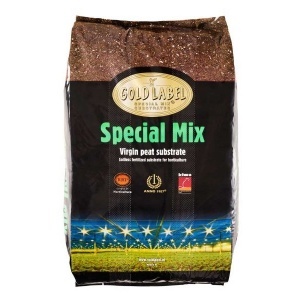 Gold label Special Mix is made using Swedish virgin white peat of the highest quality. The peat has a course structure & is mixed with only the highest quality, perlite, Swedish clay, lime, minerals, trace elements & organic fertilizers. It's a complete mix, ready for use.